A product designed for people with goals and no excuses. With this product, you will forget about everything that is making you tired and give you the energy to just go for it. So, who loves a good pre-workout, but hates super-itchy, red, or even bloated effects? BioTechUSA Nitrox Therapy does not give me any of those common problems I always struggled with. It gives me the explosive energy I need for every workout without any problems, due to it being sugar-free, doping-free, and gluten-free. Since I started using this product I am more focused on my training and have enough energy to go heavier every session. Where some pre-workouts gave me energy but in the middle of my session I felt tired and couldn’t challenge myself after that crush in the gym. With Nitrox Therapy I can feel my energy levels are consistent throughout my whole session. What I love about the Nitrox Therapy formula, is it also contains BCAAs, essential amino acids, and some vitamins and minerals, so you get a recovery boost after training. Oh, did I mention how incredibly tasty it is, while being sugar-free? This is next level yummy; who needs sweets when you can have this before every workout? Even if you are not in the mood for a workout, if you have this product, believe me, this will be enough motivation. Prepare For Power Blast! 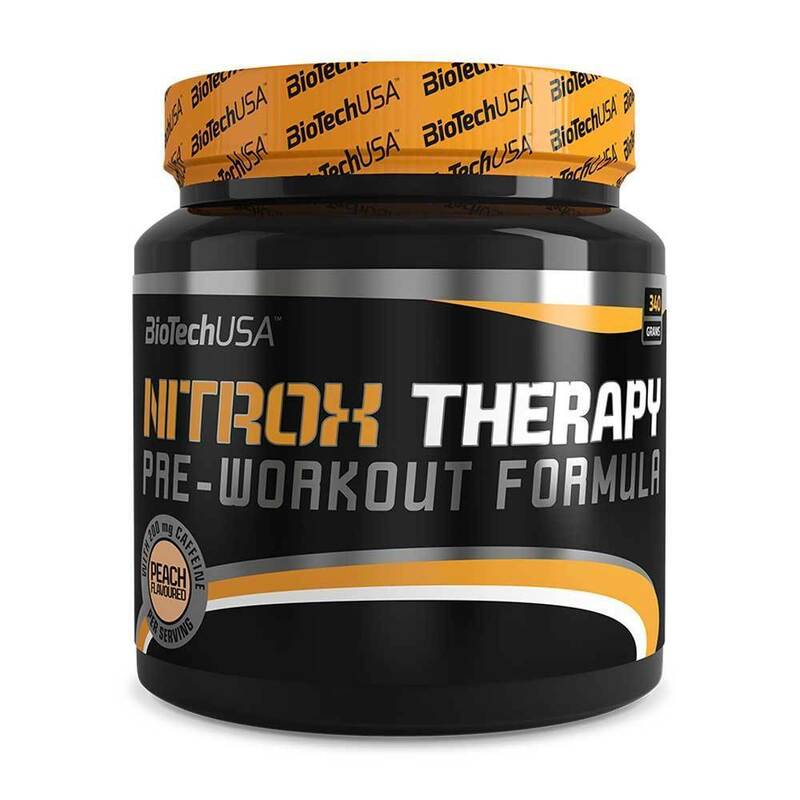 NitroX Therapy is a professional pre-workout powder from the BioTech USA - laboratories. Find out what a bunch of nitric oxide activators can do: AAKG, citrulline malate, beta alanine, L-Arginine HCl, L-Arginine nitrate! Increased alertness and attention might be your true partners during the workout session – due to caffeine, while Vitamin B3 contributes to the reduction of tiredness and fatigue. Forget aspartame and discover Carborade, the genuine mixture of carbohydrates and xylitol. Special blend of six different creatines at your service: creatine pH-X, micronized creatine, creatine HCl, tricreatine malate, creatine ethylester, creatine pyruvate.